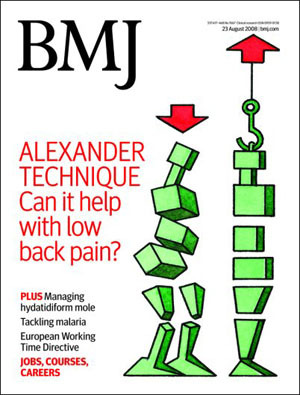 British Medical Journal Reports Alexander Technique Most Effective at Reducing Back Pain. A British randomised clinical trial compared physician prescribed exercise, massage, and Alexander Technique. The trial involved 64 general practioner offices in the south and west of England (Southampton and Bristol). A total of 579 patients participated, with 152 Alexander teachers and therapists. The trial involved 64 general practioner offices in the south and west of England (Southampton and Bristol). A total of 579 patients participated, all of whom had chronic back pain. The trial also had the participation of 152 Alexander teachers and therapists. The study reported that, after four weeks of lessons, patients who received Alexander Technique reported a lower number of days having back pain when compared with the control groups. After receiving Alexander lessons, quality of life was improved significantly, with no significant harms, the study found. And at the end of one year after receiving treatment, the improvements had lasted for the patients who had Alexander lessons, whereas massage benefits faded after three months. the effect of 24 lessons in the Alexander Technique was greater at one year than at three months. The effect of six lessons was maintained—a 17% reduction in Roland disability score and a 48% reduction in days in pain. Exercise still had a significant effect on Roland disability score (17% reduction) but not on days in pain. Massage no longer had an effect on Roland disability score but days in pain was reduced (by 33%). Twenty four lessons in the Alexander technique also had a significant effect on other outcomes; similar but smaller changes followed six lessons. Massage produced little change in other outcomes except perceptionof overall improvement in back pain (health transition), enablement, and overall satisfaction. 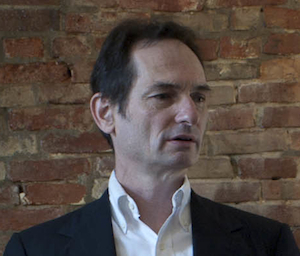 See the video accompanying the article.